2) In a wok, pour the yogurt in and heat it on medium heat to break it down to the consistency of milk. Once yogurt comes down to the milk consistency, add the whole spices - cardamoms, cloves, cinnamon and bay leaves. 3) Add ghee generously (I added sparingly though) followed by aniseed and dry ginger powder. Add the mutton along with the stock into the wok. Season with salt. 4) Cook covered on low flame for about an hour. Meanwhile, separately in a skillet, brown the onions and garlic. Reserve, when done. 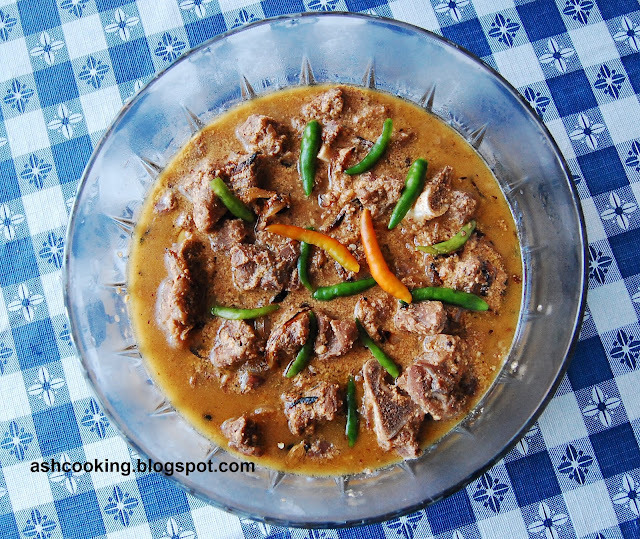 5) When yakhni nears to its end, mix in the browned onions and garlic. 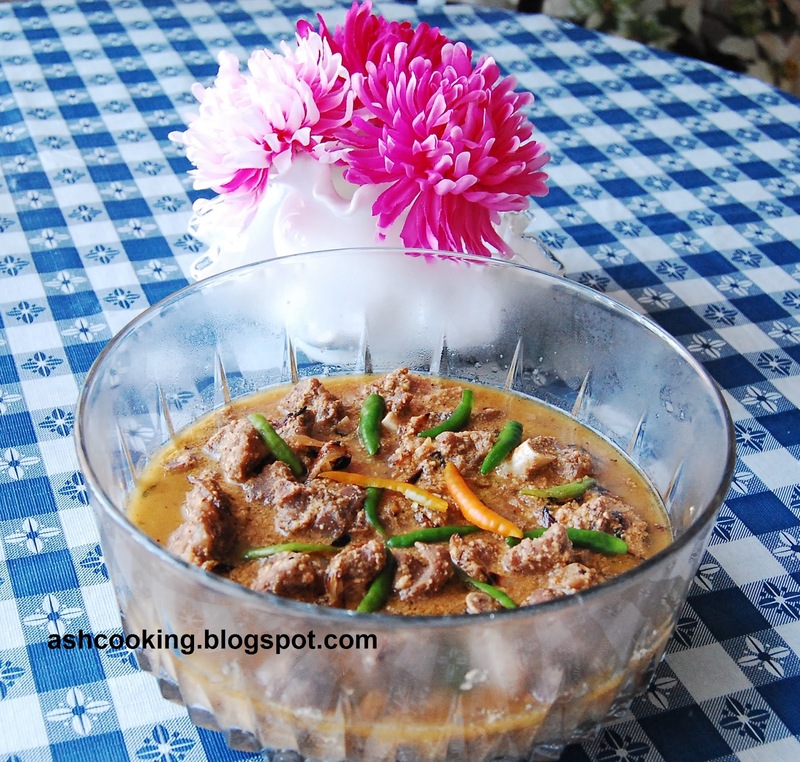 Serve garnished with green chillies.